MLS Reserves: You’ve had an extremely impressive year both with MLS and the National Team. Can you start off by talking a bit about your season with FC Dallas? MLS Reserves: At one point they had you prospected as a center back and now you’re much more involved in the attack. What would you say your best position is? Most preferred position? MLS Reserves: You tend to take people on often. Is something you actively work on or does it come naturally? MLS Reserves: With the national team, you’ve seen some impressive performances. Can you talk about your time with the group there? MLS Reserves: You’ve played at the youth level and now with the full team under Klinsmann. What would you attribute your success with the national team to? MLS Reserves: Does Klinsmann encourage you to get back defensively as often when you take people on in the final third? MLS Reserves: You’ve played a ton of minutes this year between MLS, USOC, CCL and the national team. Do you feel fatigued at all? MLS Reserves: How do you stay fresh? What do you do after games to keep your body going after all those minutes? MLS Reserves: During the Belgium broadcast, Rob Stone [ESPN] mentioned that you had interest from Germany during the transfer window. Is that interest still there? Is that a possibility down the road? MLS Reserves: Do you have aspirations to play overseas at some point in your career? 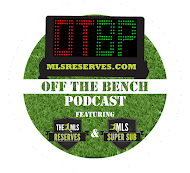 MLS Reserves: With Dallas playing so many games this year and with the team having to rally on several occasions, who have the leaders on the team been? MLS Reserves: Somber news recently with the passing of Bobby Rhine. Being in Dallas you likely had a unique perspective when you got back [for USMNT camp]. Can you talk a bit about that? MLS Reserves: One of the things a lot of fans notice about you, both FC Dallas and national team fans, is your hair. 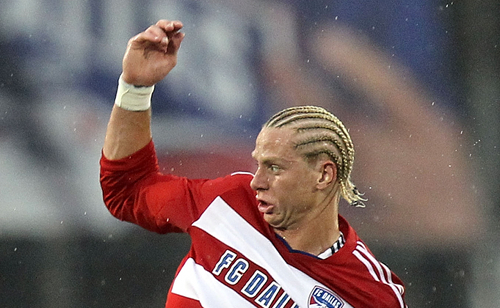 The many hair styles of Brek Shea…Do the guys mess with you at all? What’s the story there? MLS Reserves: I read that the coach made you cut your hair before the U-17 World Cup, is that true? MLS Reserves: I cant thank you enough for your time and best of luck with the season. After seeing such impressive performances with both club and country, there is little doubt what the future holds for Brek Shea. Clearly he has a bright future ahead of him whether it be in MLS or abroad. US National Team fans can be hopeful that his talent continues to flourish. He is young, aggressive and talented on the ball. Couple those things together with his speed and size and you have a deadly combination. 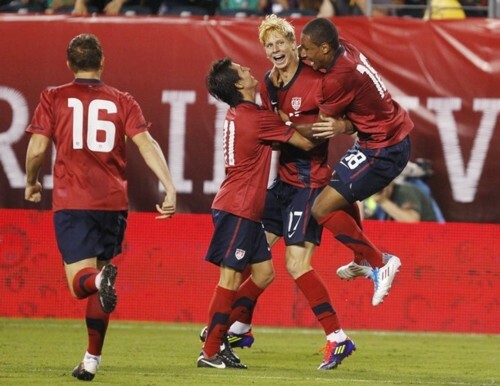 Opponents beware, Brek Shea is on the rise.